Even the most architecturally interesting home can seem boring if it’s decorated in a noncommittal way, or worse, if it’s not decorated at all. Simply selecting a couple of pieces of furniture may suit your immediate needs, but it does nothing to enhance the natural character of your home. In order to bring a space to life, you should the following aspects. Highlight an accent wall – By confining your choice of bold colours such as bright yellow, red or navy blue to one wall, you’ll get your point across without overwhelming the space. Also, don’t be afraid to investigate options other than just plain paint – wallpaper murals can be used to set a dramatic tone and statement for the whole room. All or nothing – Choose your bold colour and make it the focal point of the room, either by using it on the majority of the walls, or by utilising it as the dominant colour in rugs, curtain fabric, wall art, furniture, and accessories. Mount colorful graphic art and light it with subtle fixtures that direct the illumination directly onto the piece. Go big when making a statement with art. Either opt for larger pieces or display several smaller pieces in groupings throughout the space for a greater impact. Install decorative crown molding around a room’s perimeter to add interest, depth and a feeling of longevity to a space. Paint or stain the trim after installing it and go as ornate or plain as the mood strikes. Upgrade a fireplace mantle by adding natural stone, marble or tile. You can even paint over the dirt and smudges inside the firebox using high-temperature paint. Hang a dramatic chandelier or a cluster of pendant lights as a focal point in the space. Expose original stone or brick to restore historical character. This can be a dirty, dusty job, but one well worth the effort. Remember to thoroughly scrub the exposed wall with brushes and to vacuum the dust before adding the sealer. Display old black-and-white family photos in silver frames. Fill a vintage cabinet with an antique collection. Frame and display vintage items, memorabilia or prized possessions. Compose a few fresh floral arrangements and sprinkle them throughout the space. 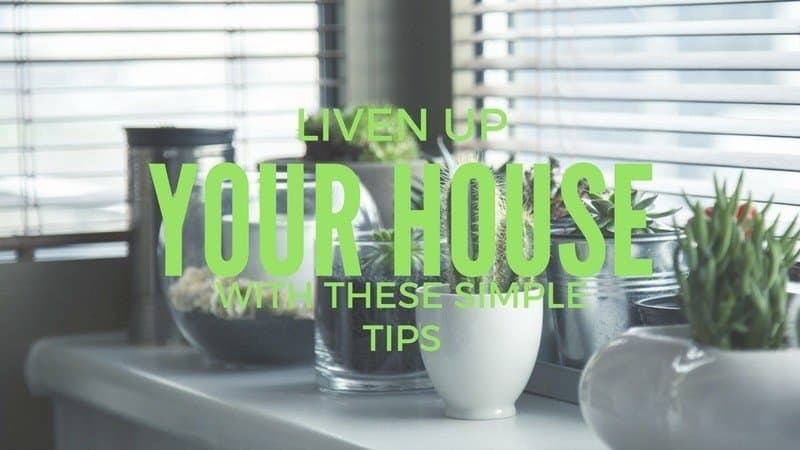 Alternate them with living greenery in the form of topiaries, small succulents, vining plants and feathery indoor ferns. Find subtle ways of displaying seashells, driftwood, and pinecones that are mementos of favorite family vacations. Introduce aromas gleaned from nature by setting bowls of fresh apples and citrus around the room. Whatever your passions are – whether collections, old architecture or a favorite colour scheme – bringing them to the forefront of your room design helps make the space personable and cozy. Everyone loves being surrounded by favorite old things. If you incorporate decor that has special meaning, it will make for a space you’re eager to return to at the end of the day.